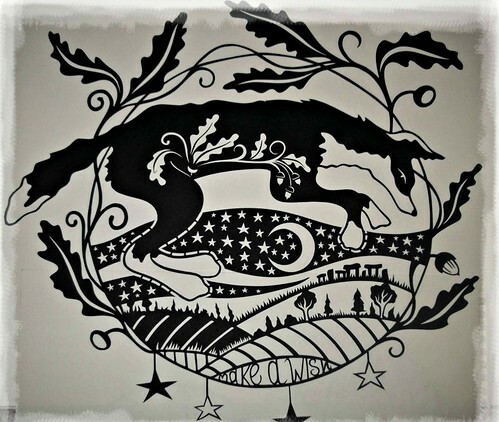 I'm always amazed by those who can pick up a craft knife and create gorgeous paper cuttings right off the bat. Jen Fry is one such talented person. Probably to no one's surprise, innate drawing ability is key and she is fortunate to have it in abundance. 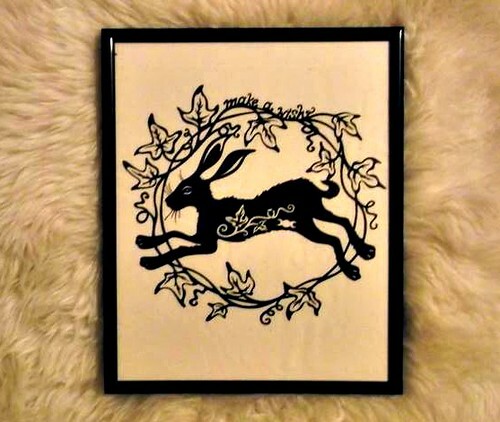 I spotted Jen's lively nature-inspired designs that feature hares, squirrels, foxes, and deer via Facebook. Ha! No wonder Jen has grown a large following in a short time. 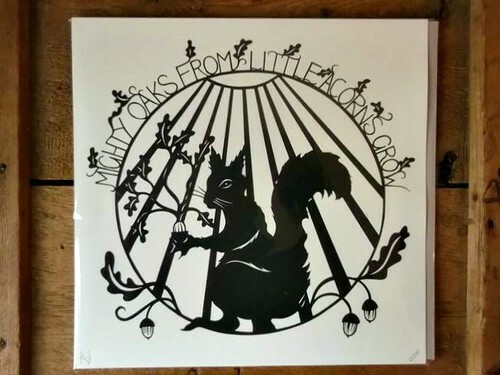 With a knack for endearing herself and her critters via clever postings, she successfully markets original paper cuttings, prints, cards, and gift items without a traditional website. 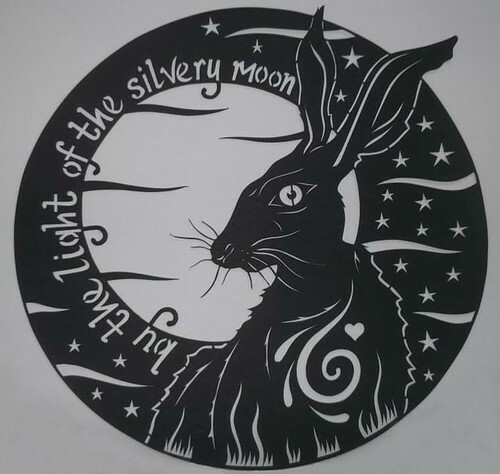 As for custom designs, Jen is already booked through next summer, but get this... she was a newbie to paper cutting just a year ago! I asked her to tell us about the swift journey. I have always done arty things. Up until last year I had lived on a canal boat for fifteen years, where, among other things, I taught myself to do traditional sign-writing and cabin painting. When I left to move into my cottage in the mountains of mid-Wales, I needed to think of a new creative direction. 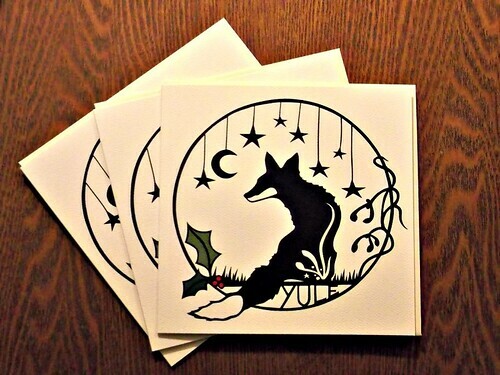 I made some papercut cards last Christmas for family members and things took off from there. All my designs are my own and all are hand drawn and hand cut by me. I have no formal art training, but I have been drawing since childhood. I just love making things! The only tools I need are my pencil, paper and scalpel. I sell prints in a few shops around the country and my originals are sold via my Folksy shop and a local gallery. I've been asked to participate in an exhibition next spring, so I will be focusing on that for the next few months. I adore what I do and feel so lucky to make a living out of something I truly love and am passionate about. Have a great weekend everyone! Perhaps you'll be raking leaves, planning Thanksgiving dinner, or making holiday decorations and gifts. Wow! 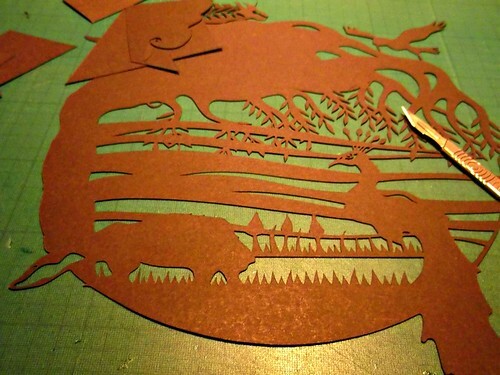 Her papercuts are beautiful! Makes me want to dust off my xacto. Have a great weekend, Ann! i loveJen's papercuts! 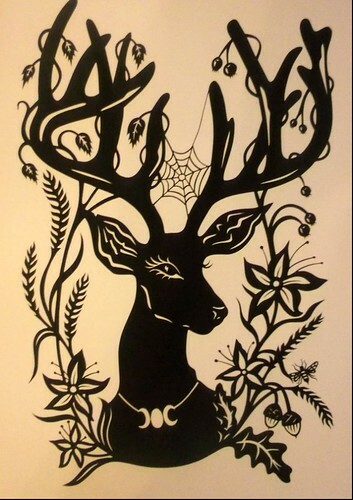 My favourite is the deer head......they make beautiful hangings and gorgeous cards!! Jen's work is amazing. What patience she must have!! !